This page contains a list of the known issues when using SpreadsheetConverter to convert Excel spreadsheets to live, calculating web pages. All our files and computers are scanned for malware at all stages of production using the latest versions of industry-standard Internet security software which is updated automatically. All files available from our Download page are free of known malware. If your Internet Security software is flagging any part of our software as malicious, we urge you to contact us immediately. We are aware that e2o2.exe or ViewManager.exe sometimes get a “suspected” status, but so far these have all been false alarms. Read more on the help page for download and installation. As Office 365 develops more rapidly than conventional Office versions, new features are added that may be incompatible with old display drivers. This may result in apparent formatting errors. In some systems, you may get a truncated display where some parts of the window are obviously missing or incomplete. The solution is to use the Optimize for compatibility setting described below. Many modern tablets and laptops have displays with much higher resolution than their predecessors. Some people refer to this as having “a high dots-per-inch ratio”, or just “high DPI”. Excel’s support for such “retina” screens is very limited, which can result in scaling issues when an Excel window is moved between monitors with different resolution. These scaling issues also affect SpreadsheetConverter. 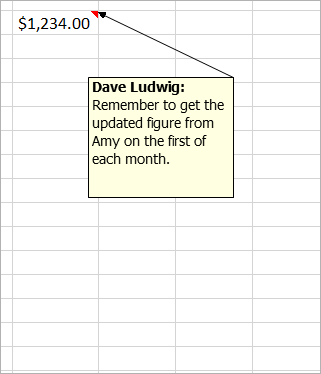 In the below screenshot, the Excel window was moved from a high-resolution display to a low-resolution display. In situations like this, Excel may provide incorrect display scaling for add-ins like SpreadsheetConverter. In the screenshot, the text in the task pane appears to be magnified and it is not proportional to the rest of the content on the screen. There is a simple circumvention to these problems. In Excel, go to File > Options > General > User interface options and select Optimize for compatibility. When using the Optimize for compatibility setting, Excel correctly handles multiple screens with different resolution. As you can see in the screenshot below, the SpreadsheetConverter task pane is now proportional to the rest of the screen. Excel does not permit add-ins like SpreadsheetConverter to control the display scaling themselves. If your version of Excel doesn’t provide the compatibility mode for multiple displays, it will not properly support multiple displays with different resolution, and you will see the scaling issues described above until you upgrade Excel. When we designed SpreadsheetConverter we wanted to allow for extremely large spreadsheets, and still provide exceptionally fast response times on slow hardware. This forced us into a few minor compromises, of which one was that if you ever assign a text value to a cell, it is always treated like text. When you reference such a cell in your spreadsheet, it always returns a text, even if it’s a number. The cell contents will always be left-aligned, also for numbers. In string comparisons the operation compares character for character from left to right, so numeric string values may give unexpected results, e.g. ‘9’ > ‘10’ and ‘09’ <> ‘9’. SpreadsheetConverter will see that the formula may return the text Error and internally defines the cell as text, which will always left-align the cell – even if it contains a number. Never use formulas to assign text values to numeric cells. Also, most computers actually perform decimal calculations as their equivalent binary calculations. This inherent approximation may lead to differences in precision, e.g. that a cell ends up with a value of 0.45000001 when you were expecting it to contain exactly 0.45. If the numbers are close enough, the first part of the AND statement will not be True, and so A5 will not be considered greater than A6. You must use a “proximity constant” that is relevant for the numbers you are actually processing, in particular if you expect the cells to contain extremely high or low values. For your spreadsheet to convert gracefully into a properly formatted web page, it must follow certain rules. We have documented these in a separate help page about the restrictions for spreadsheet file name, size and content. If you start a conversion and the progress bar seems to get stuck around 32%, you may be using conditional formatting on a very large cell range, e.g. an entire column. This problem is easily solved, just apply conditional formatting to only those cells that actually contain data. When you convert a spreadsheet where one or more of the worksheets are empty, the empty worksheets will not appear in the converted web page. New Google Maps may not appear as expected on your website. You get an error message saying Oops! Something went wrong. You likely have a problem with the Google Maps API key you use to show maps. Read the instructions on how to solve this. When the conversion is complete, you may be shown a QR code to scan with your mobile device. If the QR code doesn’t appear automatically, you can open the History List and scan it from there. If the web page doesn’t appear in your mobile device when you scan the barcode, and you get messages saying the website is unavailable, impossible to connect to or doesn’t respond, you may need to add an exception to the Windows Firewall. Read more in the online help for Instant Testing. This issue requires you to know what version of Excel you are using. This information is available on the File > Account screen. 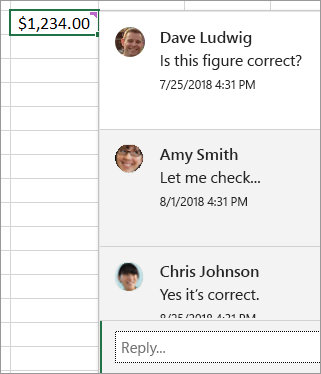 In Excel 365, version 1810, Microsoft introduced Threaded Comments. The new feature also became available in Excel 2016 version 16.17. With threaded comments, you can discuss a value or formula with other users of the same spreadsheet, just like in a chat or e-mail conversation. Notice the Reply… field in the screenshot below. The old comments are now referred to as Notes. Notes look and work just like Comments have worked before. SpreadsheetConverter supports Comments from previous versions of Excel, and Notes from Excel version 1810 or 16.17, or later. If you use threaded comments in a spreadsheet that you convert with SpreadsheetConverter, the threaded comments will not be visible in the converted web page. The process of preparing the PDF file is partially taking place in the browser, and on slower computers the required processing may take so long that it exceeds the built-in script time-out in Firefox. The best way to verify this is to test the form with a different web browser. If the form can be submitted without errors using a different browser, you have the situation described above. The simplest solution is just to press Continue if the message appears after submission of a form. If the message becomes a problem you may suggest that the user reads Mozilla’s help page on how to increase the script time-out in Firefox to 20 seconds. Increasing the time-out has no negative effect except that it takes slightly longer for Firefox to detect other situations when a script has stopped responding – but this is not a common problem. Our Free and Advanced e-mail services run on secure web servers, where incoming form submissions are saved. For each new form we receive on your behalf, we send an e-mail to one or more e-mail addresses designated by you, with the contents of the submitted form. E-mail is built on a store-and-forward architecture, and in the worst case, an e-mail from our server may have to pass multiple servers before it reaches its recipients. The e-mail infrastructure is beyond our control and there is simply no way for us to guarantee that you will get all the e-mails we send you. With the Advanced Submit Service, you get a personal login to our forms database. We recommend that you periodically use this login to monitor our server manually for new form submissions, in case the corresponding e-mails have been discarded by the e-mail infrastructure. The risk of losing e-mails increases when you use File Attachments. We recommend that you use our Secure Delivery feature to have the e-mail contain just a link to the form instead of the form’s full contents with attachments. The e-mail we send you for a submitted form uses industry-standard formatting and markup. Some e-mail clients may not provide full support for current standards. In this case, hidden sheets may be visible in the e-mail, the formatting may not be perfect etc.